Pappoe is one of the top prospects overall for the 2019 class. He started getting offers when he was in middle school and has his pick of any school in the country. He attends Grayson High School, which is the same school as current Nebraska linebacker Mo Barry. 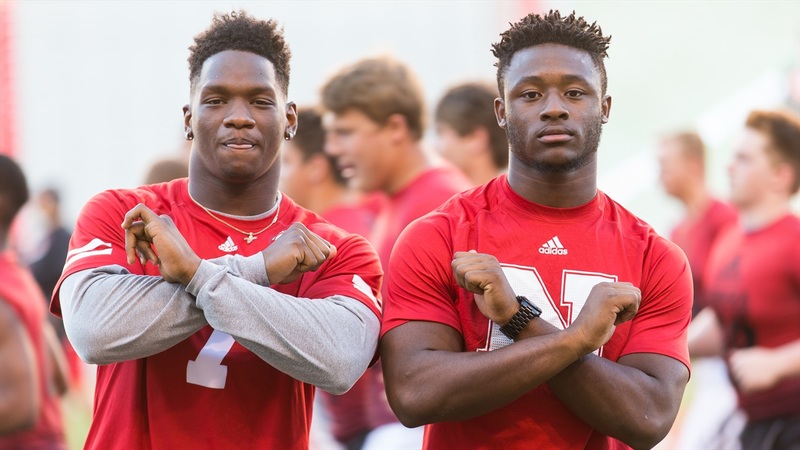 In fact, when Pappoe visited for Friday Night Lights back in June, Barry (pictured above, left) hosted him and Pappoe was able to spend a couple nights in Lincoln where he really took to Lincoln. I caught up with Pappoe Wednesday and he had this to say about what stood out about Nebraska enough to include them in his top three. Pappoe’s decision timeline has been a big topic of discussion and he has hinted many times that he would like to get the process over with sooner than later so he can enjoy the rest of his days in high school. I asked him if he was nearing a decision but he told me that he wants to take his officials to each of his finalists before making an announcement.